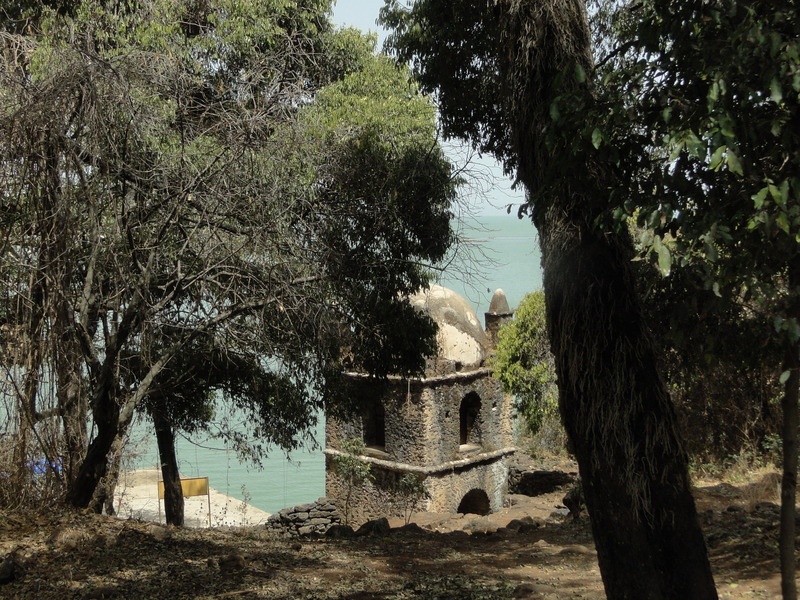 Lake Tana, the source of the Blue Nile, is also an important centre for the Ethiopian Christian Orthodox, going as far back as the 17th century when Abyssinia (Northern Ethiopia today) was a powerful kingdom. At the time, the political, economical and spiritual activities were centred around the lake. The many monasteries built on the lake’s islands and around can testify for the past glory. Their beautiful decorations express the religious fervor still encountered today in the country. Of all the monasteries I was able to visit (many don’t allow women in), my favourite is Narga Sélassié or “Trinity of the Rest” on Dek Island, the largest island on Lake Tana. 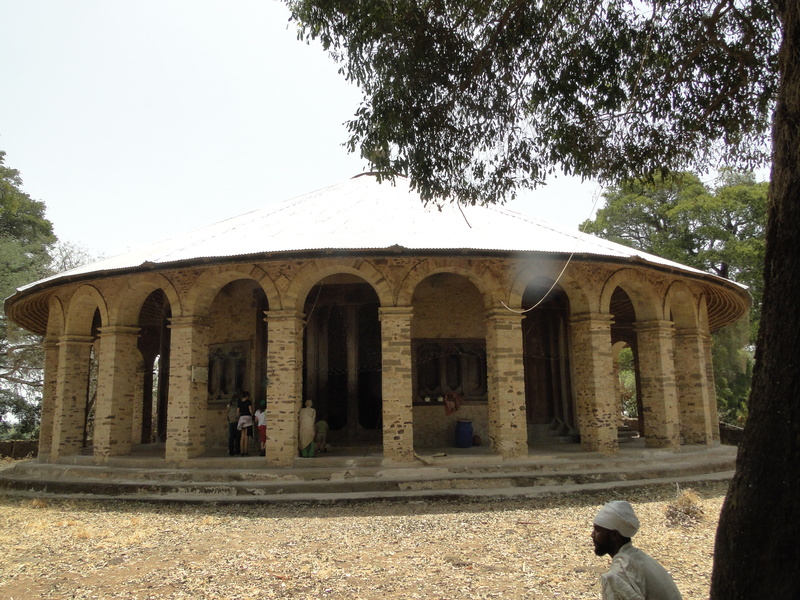 The church/monastery was built in the 18th century by Empress Mentewab, one of the famous rulers of Gondar at the height of the kingdom. Local material was used for the construction but the architectural style, particularly that of the gate, is typical of Gondar. 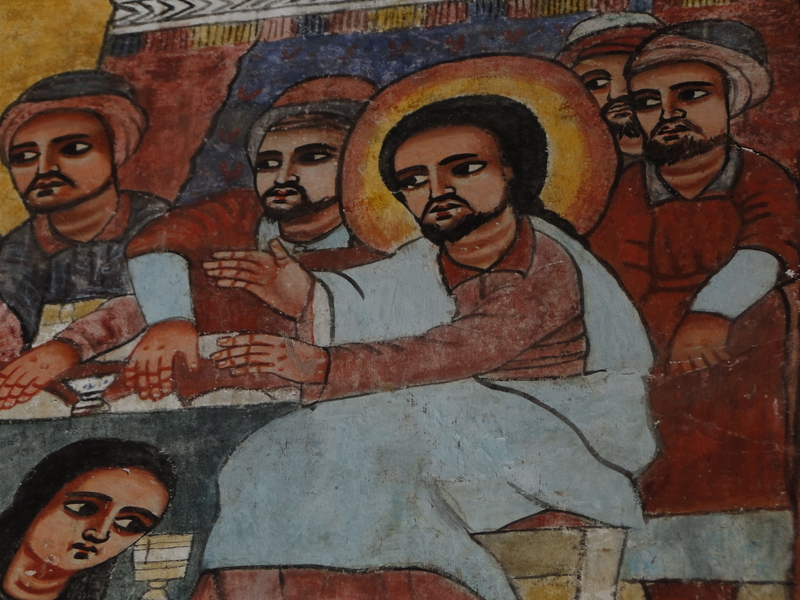 Artists from the city of Gondar came to paint the frescoes inside. It takes about two hours on a fast motor boat (longer with smaller boats) to reach the island from Bahir Dar. To cross the full 84 kms length of the lake would take almost a day. But the crossing is worthwhile. Along the way, we come across fishermen on tankwas, the handmade papyrus pirogue still used on the lake today. We see old fishing boats transporting people from the islands to the mainland. Many of them go to town to sell their agricultural produce. The lake shores are lush and fertile with citrus trees, mangoes and coffee growing naturally. In the middle of the regular daily activities, Narga Sélassié is a world apart. The round-shaped monastery stands alone, peaceful, on the western side of the island, and it feels like nothing can disturb this little heaven. As we approach the jetty, we suddenly see the majestic gate leading up to the monastery. The sight itself is very beautiful and reminiscent of the Mediterranean, somewhere between a Greek or a Southern Italian island, with the tall trees, dry bushes and the monastery made of a similar stone colour. Inside, the walls are decorated with frescoes depicting the main episodes of Jesus’ life, the four evangelists, as well as scenes from the Old Testament. 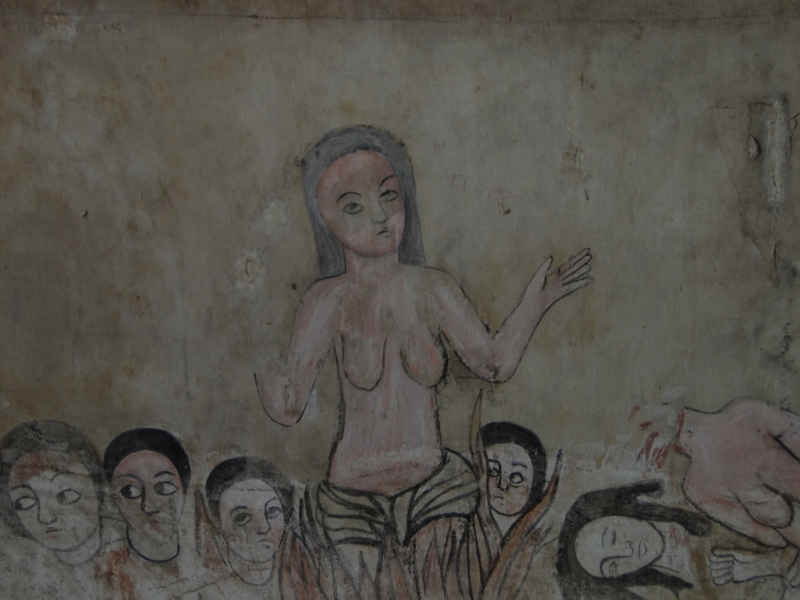 They have the naive quality found in the early Renaissance frescoes in Italy, but with the distinctive Ethiopian faces and striking black eyes. I could have stayed there the whole day so beautiful the spot was, except that there is little else apart from the monastery itself. This entry was posted on May 31, 2012 by Salambo in Bahar Dar and Lake Tana, Travelling outside Addis and tagged bahir dar, christian orthodox churches, ethiopian paintings, Lake Tana, narga selassie monastery, tankwas, trinity of the rest.